MOSCOW (Sputnik) - The RT channel faces very special "business decisions" in the United States, the broadcaster's Deputy Editor-in-Chief Anna Belkina told Sputnik on Monday commenting on the decision of the signal owner to remove RT from the air in Washington in February. The AP news agency has recently reported that Frederick Thomas, the president of MHz Networks — the company that broadcast RT in the US capital — confirmed the information that the TV channel was removed RT from the air starting from February 2. "It is notable that very special 'business decisions' are applied with respect to RT and [they are applied] two months earlier than to other TV channels, and without any explanations," Belkina said. The representatives of the broadcaster have linked this move with the fact that the TV channel was previously registered under the Foreign Agents Registration Act (FARA) at the request of the US Department of Justice. The Commonwealth Public Broadcasting Corporation, which owned the frequency, did not specify to AP why RT had been removed from the air. According to the agency, the frequency owner, as well as the broadcaster, stated that the TV channel was removed from the air because of certain business decisions, but not because of the decision of US authorities. 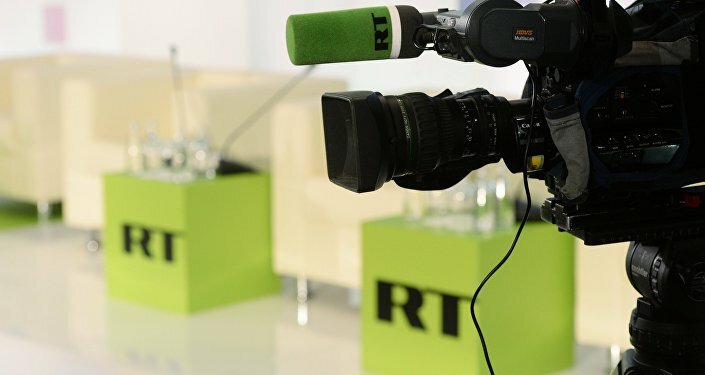 On March 30, Margarita Simonyan, the editor-in-chief of RT, said that the decision to end the broadcasting of RT in Washington was made in February adding that the registration under the FARA was the reason behind the end of broadcasting. In April — two months after the February move in regards to RT — MHz Networks had removed from air other foreign TV channels, such as TRT World, DW-TV, Arirang, CGTN 1, CGTN 2, CNC, Africa Today TV, France 24, Netviet and Telesur. In November, the US Department of Justice ordered international news channel RT America to register as a foreign agent under the FARA. At the same time many other media outlets, including BBC, China's CCTV, France 24, and Deutsche Welle were not registered as foreign agents. Later RT's accreditation to the US Congress was revoked. Simonyan pointed out that RT's registration as a "foreign agent" put the broadcaster at a disadvantage compared to other foreign media outlets working in the United States. In response to Washington's measures against Russian media outlets, Moscow introduced a law allowing the Russian Justice Ministry to recognize foreign media outlets as "foreign agents."